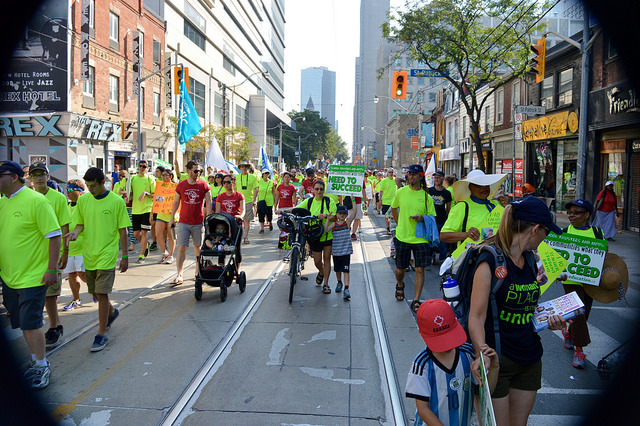 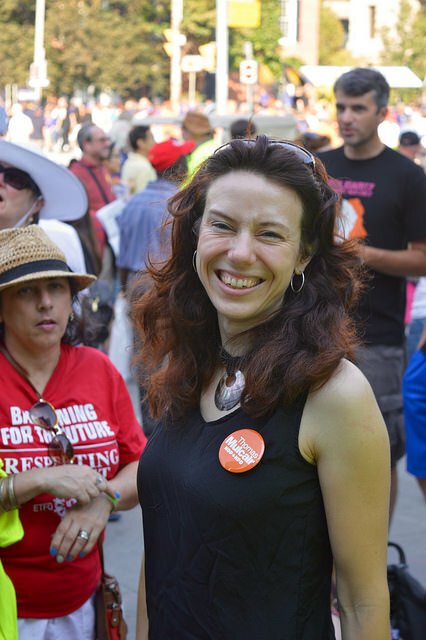 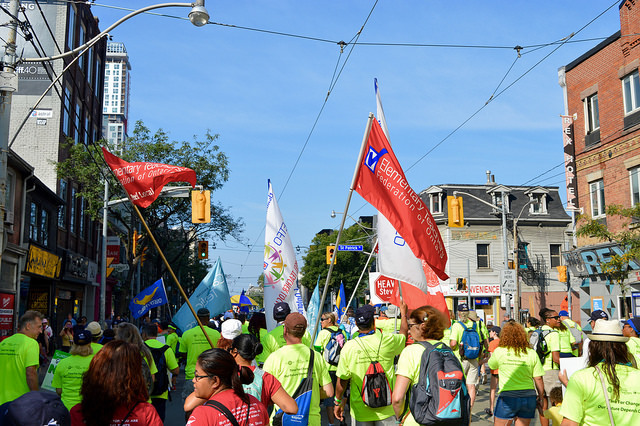 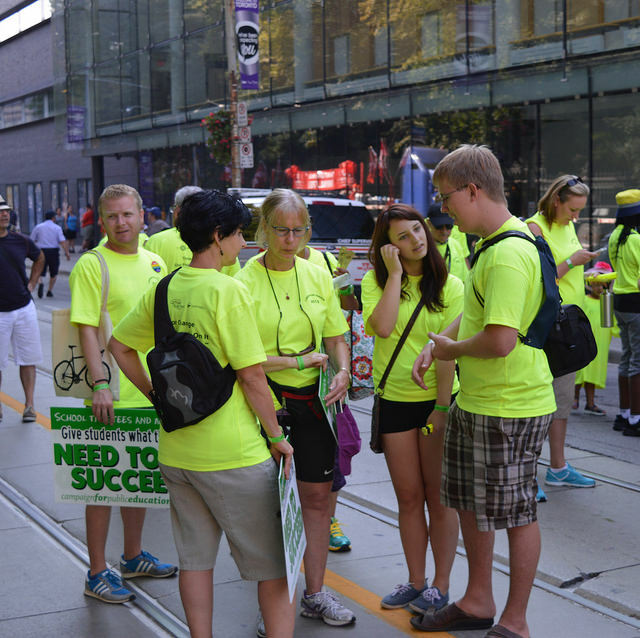 On Monday, September 7, 2015, ETT members marched in solidarity with thousands of workers, students, and colleagues from other labour locals in Toronto’s 2015 Labour Day Parade. 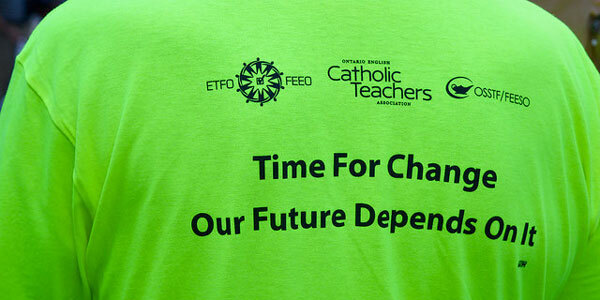 ETT’s Political Action Committee adopted Toronto & York Region Labour Council’s theme, Time For Change—Our Future Depends on It, as the focus for this year’s parade, appropriate given the fast-approaching federal election. 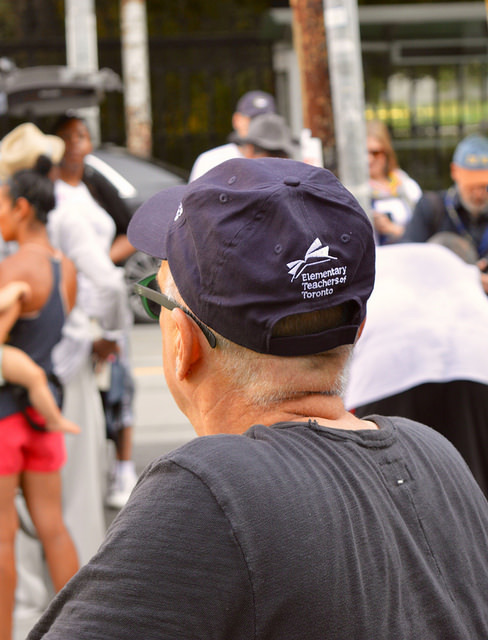 “Attendance at the parade was outstanding and workers marched in solidarity with one another,” said Felicia Samuel, ETT Executive Officer and Liaison to the Political Action committee. 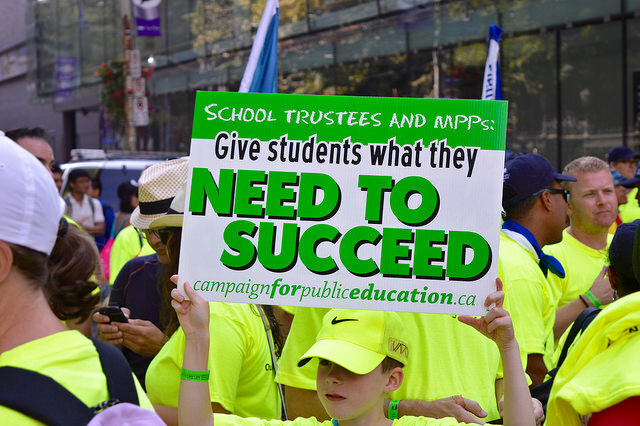 “ETT’s participation with our sisters and brothers in labour showed our commitment to the kind of government that cares about its citizens, and believes in, and looks after our youth. 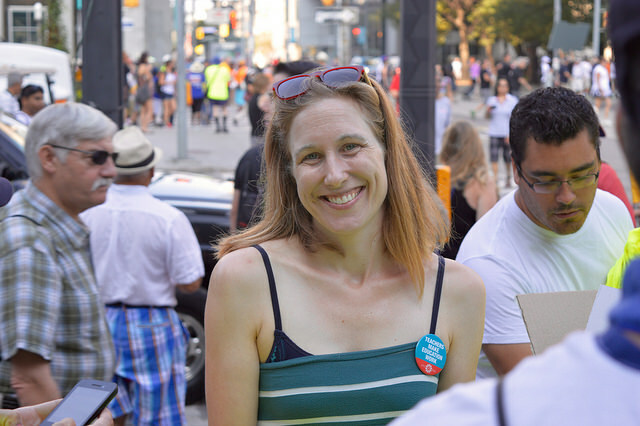 Our solidarity will ensure that we have a change in government on October 19,” she said. 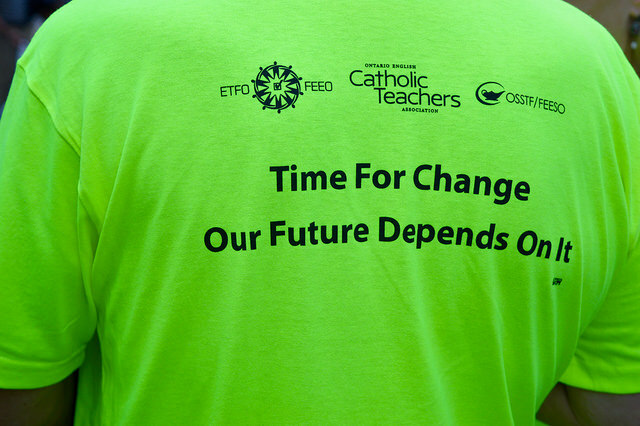 There was a strong contingent of teachers at this year’s parade and ETT members took advantage of the opportunity to launch our Full-Day Kindergarten (FDK) campaign, an advocacy campaign to stand up for students and improve public education in Ontario. 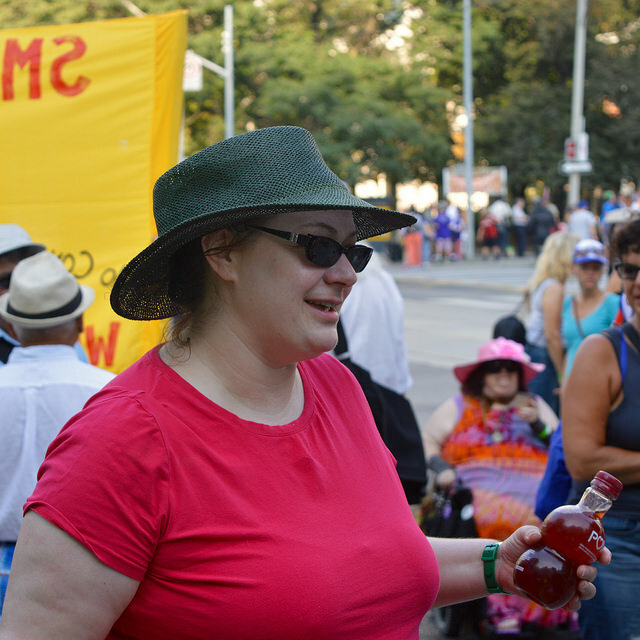 More photos from the Toronto 2015 Labour Day Parade are available on Facebook and Flickr. 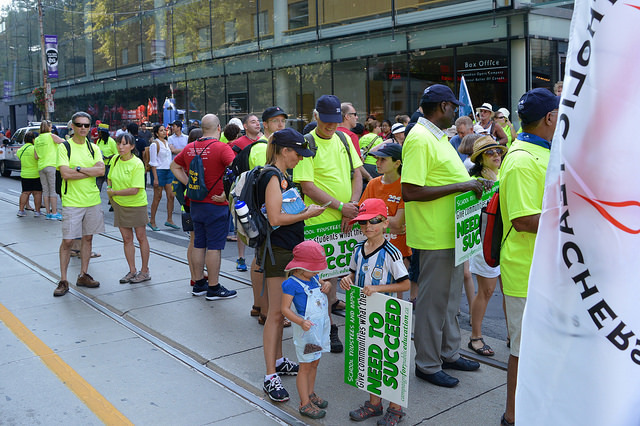 Additional photos are available on the Toronto & York Region Labour Council website.